I call it reverse packing because that is exactly what we’ll do. When you go on a holiday, you look through your wardrobe for the best pieces of clothing. Things that match each other, things that fit (right now – not in your dreams), things that make you look good and feel good. 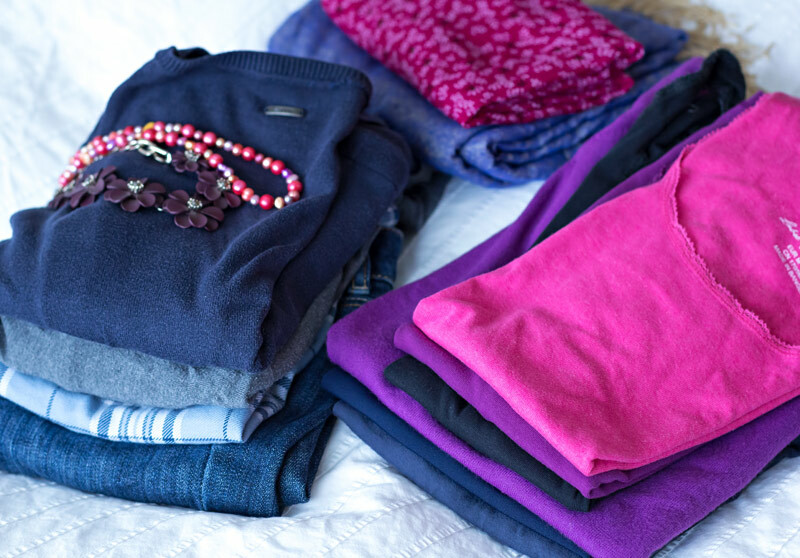 If you can only bring limited luggage, you have to narrow it down to stuff that you can mix and match. Then you pack this and schlepp it with you to your destination. Today we’re going to do the reverse. You are going to look for a few outfits that match the above description. Only enough to fit a smallish suitcase. Maybe just a carry on? You will need clothes for 3-4 days. Think about the mix and match thing, so you can get as many outfits as possible out of your limited amount of items. Once you have chosen your outfits, you are going to get the big suitcase from the basement, or the attic, or wherever you keep it. You might need more than one bag? Then pack away everything else that was left in your wardrobe. This is the reverse packing part. 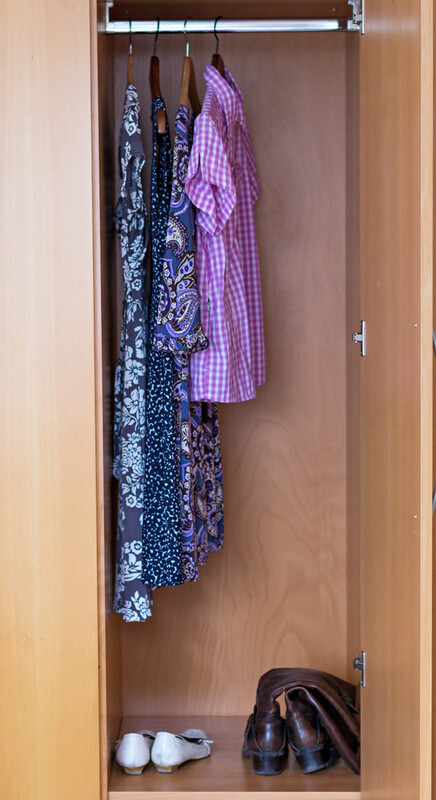 When your wardrobe is empty, put back your chosen clothes. The ones that will get you through 3-4 days. Your favorite clothes, that all fit and all make you feel great about yourself. Now, don’t freak out when I tell you that you should keep up this experiment for 14 days. I am sure you have a washing machine – right? Instead, enjoy how easy your mornings will be. Less choice means easy choice! Suddenly, you will be dressed in your nicest clothes, every day. And if you have a problem wearing the same outfits over and over – you should know that other people do not notice what we wear as much as we think they do. And for variation, use a scarf, jewelry or other accessories. The experiment is only for a limited time, so you don’t have to over-think your choices, but you will realize during these 14 days which clothes you really like to wear. What style suits you and which colors complement you. After a few days you might miss a specific item. No stress – go unpack that piece, but you will also notice how many things you don’t miss at all. When the 14 days are up, go through the bags you packed away and look at each item. Do you really love this t-shirt? Do these jeans make you look amazing? If not, maybe it is time to let go of some stuff on a more permanent basis. Make sure to recycle what ever is still in good condition. Someone else will be happy for your donation. You gave me inspiration! I’m going to do it !! Good for you Mor, and good luck! !